Dental Visits To ERs Are On The Rise : Shots - Health News More than 800,000 visits to hospital emergency rooms in 2009 were for toothaches and other avoidable dental ailments. In hard times, states often cut Medicaid's dental benefits, pushing low-income patients from the dentist's office to the emergency room. Toothache? The ER doctor will see you now. Americans who turn up in the emergency room to get dental care aren't lost, they're probably just running out of options. According to a new report from the Pew Center on the States, more than 800,000 visits to the ER in 2009 were for toothaches and other avoidable dental ailments. "People showing up at emergency rooms for dental is really your sign that your system is breaking down," Shelly Gehshan, director for the Pew Center's Children's Dental Campaign says. "It's just not serving enough people. This is your symptom of a system in crisis." In hard times, states often cut Medicaid's dental benefits, pushing low-income patients from the dentist's office to the emergency room. But the shift from Medicaid reimbursements to hospitals is still costly to states. Dental groups have long since said that ERs only provide temporary relief for dental emergencies and lead to reoccurring hospital visits, which burden taxpayers. "We're spending in the worst possible way," Gehshan says. For example the report shows that in 2002 Maryland had a 12 percent increase in the rate of ER dental visits once the state stopped Medicaid reimbursements for private practice dentists treating adult emergencies. Florida reported more than 115,000 dental-related ER visits in 2010, and in Oregon a 31 percent hike of ER cases among Medicaid enrollees over a three-year period. Access to dental care is also creating the surge in ER visits. Safety-net facilities like community health centers are losing federal funding and are unable to provide comprehensive dental care. The report suggests several steps to alleviate this problem. "States committed to serving more low-income people should ensure their Medicaid reimbursement rates are high enough to cover the cost of care," the report notes. Gehshan says that 90 percent of dental care in the U.S. is done by private practitioners and the majority of them don't accept Medicaid. Another strategy includes implementing 'dental therapists' or providers that are similar to nurse practitioners in the medical field. According to the report, dental therapists would be supervised by dentists and "could perform some services offered by dentists, including both preventive and restorative (e.g., filling cavities) care." Minnesota and some Native American Alaskan tribes are already using these professionals. But the American Dental Association, which released a statement on Tuesday agreeing with much of Pew's report, opposes the idea of expanding dental therapists in the U.S. 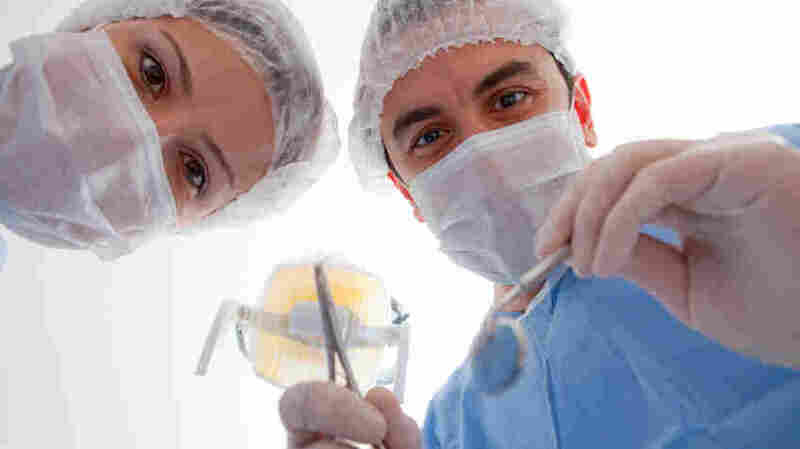 The dental association challenges Pew's projections of a decreasing supply of trained dentists and notes that relegating patients to "so-called 'midlevel dental providers' is wrongheaded." The ADA cites the Journal of Dental Education's 2009 report that "both the ratio of dentists to population and the net number of dentists will increase, not decrease, contrary to what the Pew report states."